BAY FRONT END UNIT! AWESOME VIEWS FROM ALL ROOMS. 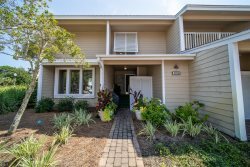 This exqusite condo is located right in the heart of Sandestin's Baytowne Wharf. You are just steps from shopping, dining and fun for the entire family. Enjoy an easy walk to the pool with this lobby level unit. There are also 2 sleeper sofas. For more information, call Ginger with Destin Luxury Real Estate & Rental today!